MetaTrader vs TraderStation – Which one should you use? TraderStation and MetaTrader are considered to be the most popular applications for traders that offer numerous features for working on foreign markets. Each platform focuses on its own particular niche: MetaTrader is a great option for traders on Forex, while TraderStation can be a convenient solution for equities traders. However, both programs can easily deal with different types of markets. On one hand, MetaTrader is a great tool for beginners in trading. It offers a user-friendly interface with all the data and charts available at hand. 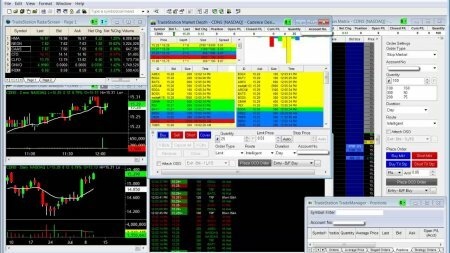 Currently, you can find two versions of the program: MT4 and MT5, both offering easy-to-use software with a wide range of understandable options and settings. However, experienced traders will also find in MT plenty of useful tools to improve their performance. On the other hand, TraderStation is a tool developed for high professionals. The price for downloading and using the app is high, while almost its the best features do not come for free, either. Although both applications provide plenty of customizable flexibility capabilities, you will need to choose which platform suits you most from your own personal needs.